The Wadhwani Foundation today launched its National Entrepreneurship Network (NEN) aimed at providing a systematic and structured platform for budding entrepreneurs, in the hopes of creating an entrepreneurial ecosystem in the country. The NEN is meant to create and support entrepreneurship that bring in new jobs and has a growing network of over 600 colleges, 4000 mentors and 3200 faculties that has helped launch 2,000 new start-ups and tracing 1,500 new companies annually. The Government has urged for the development of entrepreneurship through many initiatives as it is key for Malaysia’s economic growth. NEN begins from universities by bringing together the government, academic institutions, entrepreneurs, mentors, investors and associations to pool together resources by hosting tailor-made programmes, events, workshops and webinars. 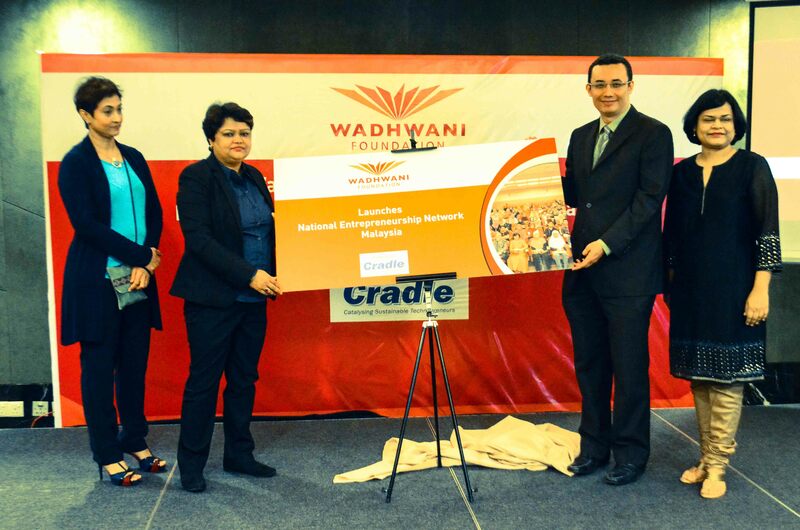 Cradle Fund, an agency under the Ministry of Finance, will be partnering with Wadhwani in this endeavour as Cradle manages the Cradle Investment Program (CIP) that supports aspiring entrepreneurs in ICT, biotechnology and life sciences, material sciences and high growth technology industries. 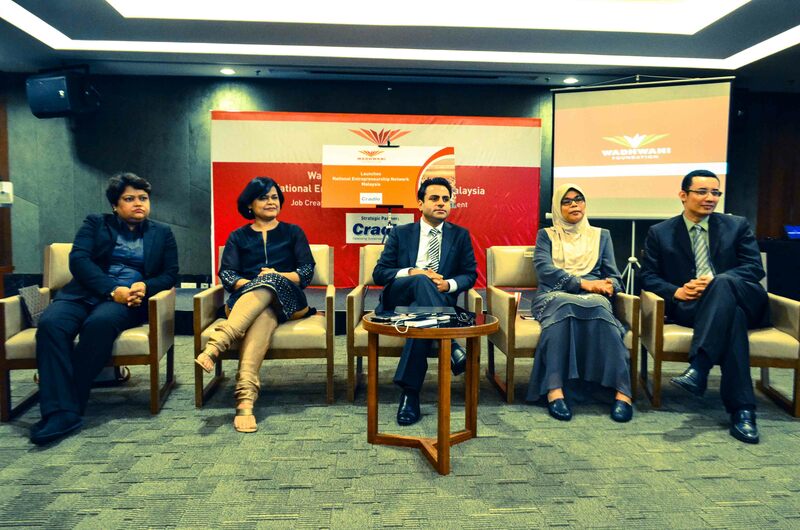 Malaysian Digest asked the CEO of Cradle Fund, Nazrin Hassan, on how many products have reached commercial realisation, to which he replied that 58% has been granted from the RM13 million that they manage. “The products and business ideas that do not get passed are brought back to the drawing board, and from there we help them improve their business plans,” he said. “And while we can create national (business) champions, how about regional champions? 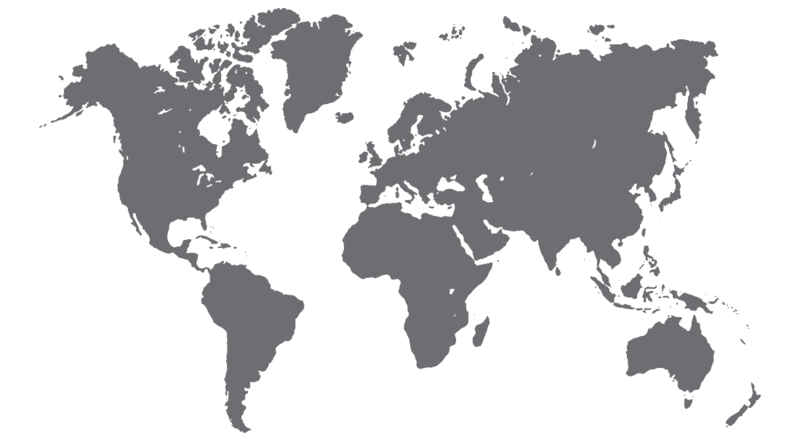 The next challenge is how to scale businesses to go regional, and global. Take MyTeksi for example, it is a Malaysian company and has now gone regional”. On how can we become more regional, he said “We got back from the 1ASEAN Entrepreneurship Summit. And I noticed that we, Malaysians, know very little about our neighbours. Do we know their culture, politics, people – besides the tourist destinations? 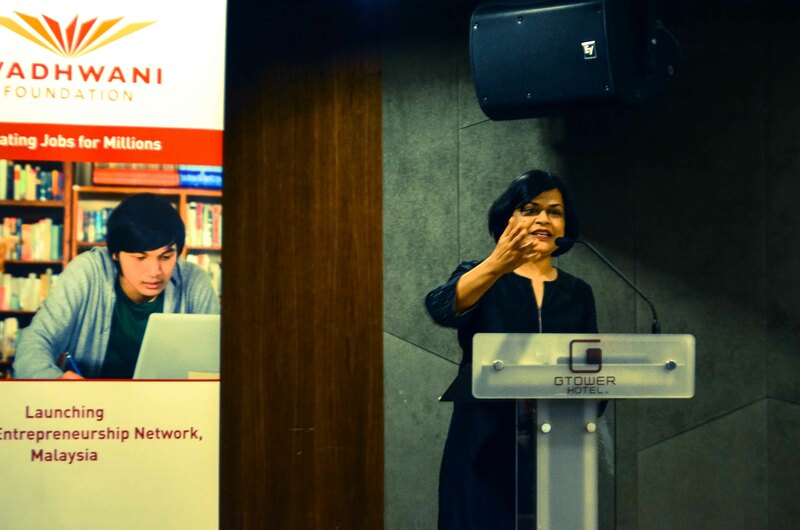 INTI University and Universiti Techonolgy Malaysia Johor are amongst the first private and public higher education institutions that have partnered with NEN, who in following the National Education Blueprints, hopes to churn out more entrepreneurial students. 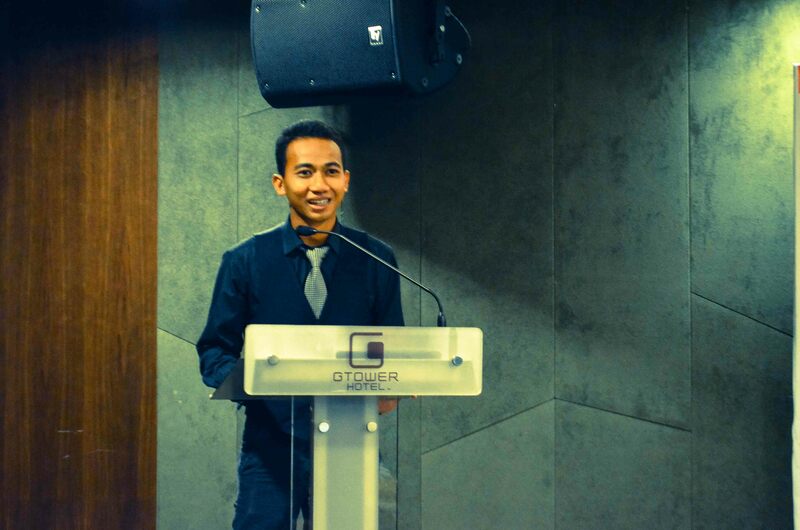 UTM Engineering student Massolihen Dasuki who is from the Student Representative Council also took the stage and gave his thoughts. “This is very helpful because we (students) don’t have much skills to initiate a startup. This is a good opportunity for students to learn essential skills that shall help boost their careers. “After the baby boomers, it is time for Generation Y and Z to acquire new skills to lead in this new era,” he mentioned. 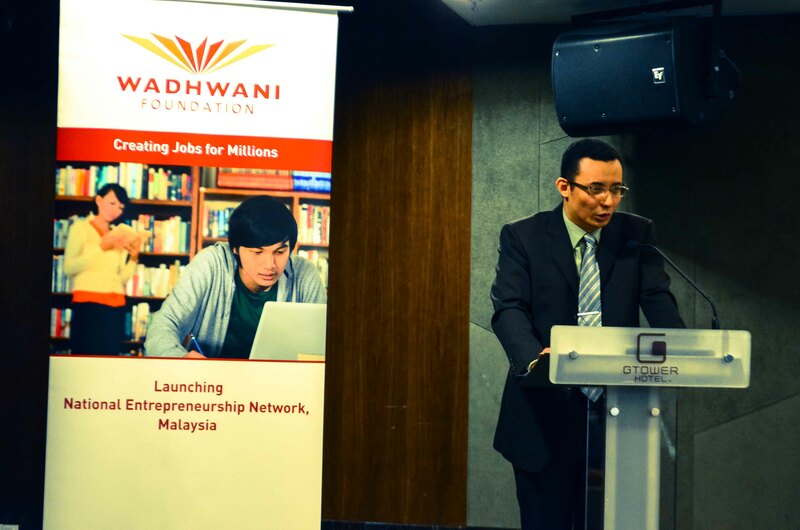 The partnership with Cradle Fund through Wadhwani Foundation’s technology platform will provide Malaysia’s entrepreneurial community access to a wider set of content that is current and relevant to its entrepreneurs, in hopes of increasing the number of entrepreneurs in Malaysia. “The challenge now is to make it sustainable,” commented Wadhwani’s International Program Manager Sujaya Rao. “It’s all about how we can make it sustainable, and I encourage budding entrepreneurs and potential mentors to get started, with us,” she added. Members of the public can obtain more information about the NEN Malaysia by visiting their website at http://wadhwani-foundation.org/initiatives/nen-malaysia.